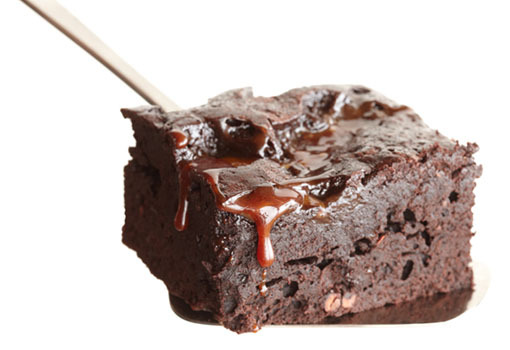 Read the package instructions for the brownie mix and prepare the brownies according to the instructions. 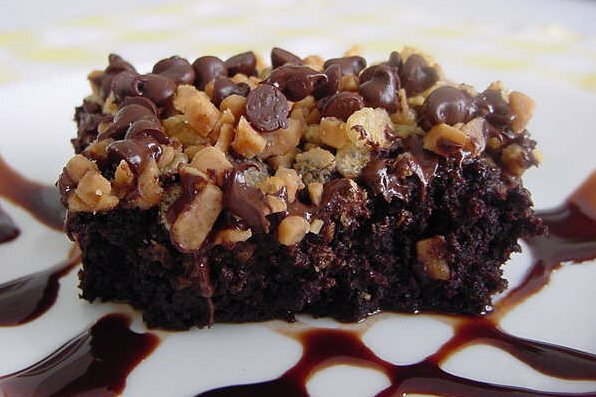 Take a fork and crumble the top of the brownies with it. Read the instructions for the chocolate pudding mix and prepare the chocolate pudding according to the instructions. As soon as the chocolate pudding is ready, pour it over the brownies and allow it to set. Take a wooden spoon and crush the toffee bars with the handle, while the toffee bars are still in their wrappers. Sprinkle seven crushed toffee bars over the pudding. Take a spatula and spread the whipped topping over the sprinkled toffee bars. Sprinkle the last crushed toffee bar over the whipped topping for decoration.